LKAB 134 Notviken & 133 Kopparasen, Narvik station, 23 July 2015 1 - 1716. Arriving with iron ore from the Kiruna mine. 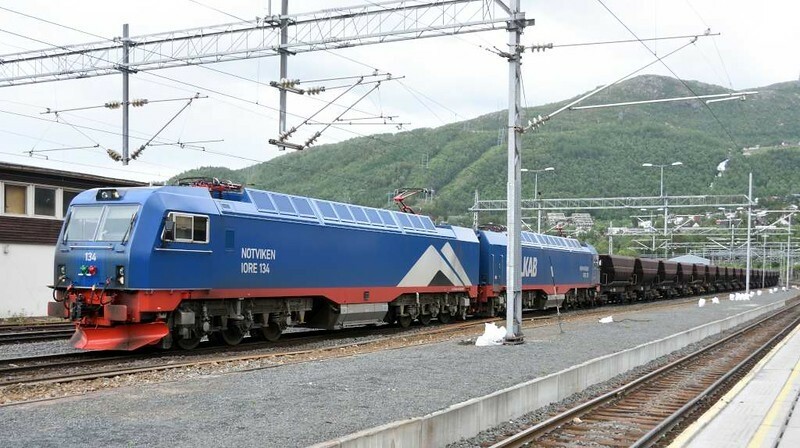 These trains have 68 wagons and weigh 8600 metric tonnes.